Educating students about postal service cannot be done alone. Schools alone are not enough to provide the knowledge. Administrator and educators need an exclusive community to bring or provide necessary resources for their achievement. US Postal service is designated to support student community through community connection. For this purpose, US Postal service tied hands with community connection – a partnership with the country’s elementary educators. This community includes resources of around 30,000 post offices. The resources of this community are known for its extraordinary collection of American culture and history and specially planned curriculum enhancements. What is School Days & American Ways? School Days & American Ways is a valuable and detailed curriculum that connects classroom calendar filled with information and facts about our country. 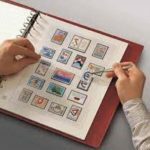 All the pages of the monthly calendar will be planned around specific themes that are illustrated through dovetail and stamps with primary grade curriculum standards. The curriculum includes political science, science, geography and economics. What is comprehensive Teacher’s Guide? A comprehensive Teacher’s Guide is a useful companion for teachers. This guide contains an extensive index of resources and provides helpful information and ideas for educating students via stamps. Tips and suggestions for lesson plans comprise of cross-curricular training through various class activities such as journaling exercises, reading and research. What is the role of stamps in educating students? Philately – favourite hobbies for many people all around the world. The study of the stamp and postage materials is known as philately, and people who collect stamps are known as philatelists. Collecting stamps is not just hobby, it offers insights of American history through fun activities for all ages. Any person can start collecting stamps without more investment. US Postal service provides more information about how to collect stamps, the meaning of specific philatelic terms, and offer other stamp collecting resources. Stamp Scoop is an editorial issue provided by the postal department for the welfare of students. It is usually published online. Postal Service issues commemorative stamps every year that reflects subjects of national significance. A new stamp that was released on every month or a selected stamp from the Postal collection will be featured in the Stamp Scoop monthly column. This will be published with an image of the stamp along with a definite article on the stamp subject’s history and its national impact. Around 160 years of stamp development has yielded an incredible collection of stamps that reflect the American culture, tradition and society. What Are the Community Activities? Education Kits are mailed to educators every year allowing sufficient time to incorporate the Kits into established lesson plans for the students. The Postal Service library of Education Kits covers various themes like our National flag, Cloudscapes, the South Florida Wetlands, Constellations and Polar Lights. Additionally, they also offer several lessons on Black Americans and their history. Field trips to post office are one of the best ways to learn more about the postal resources. Students will get chance to watch retail associates and observe how they serve customers and issue various types of letter and mail carriers. They also learn how to make preparatory activities to deliver their routes. They will get insight about how a mail travels from the sender to reaches the receiver. They can also understand about the various entry points into the office until it’s out for delivery. This field experience will show students how the letter reaches each of our lives every day. They can also leave with a better understanding of how the local Post Office ties the community together and connects all local citizens with the country and the world. Next Article What is National Dog Bite Prevention Week?